The international parental kidnapping according to Italian courts. We publish some cases about international child abduction in Italy and the decisions of the Italian courts. If you need more assistance, please contact us (click here: Italian lawyers for international child abduction in Italy). Tribunale per i minorenni di Bologna (Juvenile Court of Bologna). The children, a boy and a girl, were aged 5 and 2 at the date of the hearing. They had both been born and brought up in the Netherlands. The parents divorced in early 2001. Thereafter, following detailed negotiations and with the assistance of family mediators, an agreement was entered into as to the care of the children. This provided that the parents would both enjoy parental responsibility, and that the children would live with the mother and have substantial contact with the father. Several days after the agreement was signed the mother took the children to Italy, her State of origin. The father then petitioned for their return. The mother argued that the father had not complied with child support arrangements and that she had been forced to enter into the custody agreement. The court rejected these arguments. It found that the agreement was binding and could only be challenged before the competent Dutch authorities. It had only been agreed following very detailed negotiations and with the assistance of experts. Moreover, the mother could have refused to sign the document, sought different terms or indeed have reported her husband to the police. Furthermore it did not appear that the children were being affected by financial problems. The removal of the children to Italy was real and had the effect of preventing the father from exercising his joint parental responsibility. Tribunale per i minorenni di Firenze (Juvenile Court of Florence). The child, a boy, was 2 years old at the time of the alleged wrongful removal. His parents were married but separated. On September 2000 a judge in Germany awarded the mother the right to decide the child's residence. The child had at that time been living with his mother in Germany. On 2001 the father took the child to Italy. The mother maintained that the father had agreed to return the child that evening. However the father claimed that the mother had consented to his taking the child to Italy for a visit. The father and child remained in Italy for the summer vacation. It was hoped that during this time the boy's health would improve. The mother petitioned for the return of the child. The removal was wrongful having breached actually exercised rights of custody. The mother had a right of custody, albeit provisional, flowing from her right to decide the child's residence (article 5) as granted by the German court during the separation proceedings. The unilateral removal of the child was therefore wrongful. Tribunale per i minorenni di Cagliari (Juvenile Court of Cagliari). The child, a boy, was approximately two years old at the date of the alleged wrongful removal. The parents, Italian citizens, were not married. They had been living in Germany. The parents decided to separate and after the mother left the family residence, the father took the child to Italy and left him with the paternal grandmother. According to the father, the mother had abandoned the child. The mother maintained however that the father had forced her to leave the family home and had prevented her from seeing the child. The mother then issued proceedings in Germany and return proceedings in Italy. The German court seised of the case granted exclusive custody to the mother and ordered the immediate return of the child to Germany. It based its jurisdiction over the case on article 1 of the 1961 Hague Convention, the habitual residence of the child in Germany, and the habitual residence of both parents in Germany. Neither party challenged the court's jurisdiction. The German court applied the law of the child's nationality, in particular, article 317 bis of the Italian Civil Code, in deciding that it was in the child's best interests to remain with his mother, as he had always had a closer relationship with her than with his father. 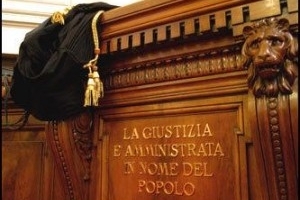 The Italian court recognized the German court's jurisdictional competence to hear the case. It held that it was not acceptable that the child should continue to live with his grandmother in Italy while both parents lived in Germany. There was no justification for the child's remaining in Italy. In addition, the father would more easily be able to exercise his access rights if the child were living in the same country. Tribunale per i minorenni di Roma (Juvenile Court of Rome). The child, a girl, was 13 years old at the date of the application. The father claimed that the child's mother prevented him from exercising his rights of access. The mother maintained however that the father had ceased coming to Italy to see the girl. This had stemmed from an incident in which the girl had refused to travel to Germany for a period of contact due to a sudden illness. The illness had been verified by a doctor at the airport. The Court found that the mother had not violated the father's rights of access. The father had had regular telephone contact with the child, but because of psychological and practical problems, he had not come to Italy to exercise the access rights granted to him in the divorce proceedings. Tribunale per i minorenni di Genova (Juvenile Court of Genova). The child, a girl, was born in Thailand on 1997. She had lived in the United Kingdom since 1998, first with both parents and after their separation, with her father. This was pursuant to an order of the Family Division of the High Court. In the autumn of 2001 the father agreed that the mother could take the child for a two week vacation. However, at the end of this period, the child was not returned. The father then filed a return application. The mother argued that the father had waived his custody rights since he had consented to the journey to Italy. The court rejected this, noting that the father had been granted sole custody and had specifically consented to the child only going to Italy for 2 weeks. The retention was therefore wrongful. Tribunale per i minorenni di Palermo (Juvenile Court of Palermo). The child, a boy, was 4 years old at the date of the alleged wrongful removal. He had until then lived in Germany. On September 2000, while the German Court was considering the mother's request for custody, the father took the boy to Italy. On 2001, the German Court granted the mother the right to determine the child's place of residence. The mother subsequently requested the child's return under the Convention. The removal was wrongful being in breach of the mother's right of custody. The court ruled that the removal of the child had violated the mother's exclusive right to decide the chld's residence, a right which had been recognized by the German Court. Tribunale per i minorenni di Brescia (Juvenile Court of Brescia). The child, a girl, was 5 years old at the time of the alleged wrongful removal. She had lived in the United States all of her life until then. Her parents were not married. On October 2001, the mother took the child to Italy. The Italian police later located the child. The father requested the return of the child, claiming he had been granted custody rights over the girl by an Oregon Court (USA) on September 2001. The removal was wrongful being in breach of the father's rights of custody. The Italian Court recognized the validity of the father's request for return since, as a result of the judgment of the Oregon Court, he had custody rights over his daughter which he had been exercising. The mother sought to invoke the grave risk of harm exception, arguing that the father used alcohol and drugs. This allegation, however, was not proved. Moreover, the trial court noted that the American court had found that the girl was happy living with her father and was developing appropriately for her age.